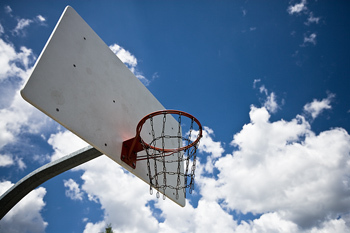 Edgefield County Youth Empowerment Center ‘s “On” the Courts vs. “In” the Courts Basketball League expands into other counties. “What began as a seasonal event to keep youth and young adults on the courts playing basketball as opposed to standing before the judge in the judiciary courts has now become a movement, says, CEO Marcella Edwards.” When other counties heard and witnessed the impact and impression the league was having on the young participants, they wanted to join forces with us. “I think it’s an enormous and remarkable idea; the more involved, the greater the impact,” says Edwards. “We have5 teams of all age groups that will compete against Saluda County on May 11, 18, and 25 in 3 All-Star Games. We will host the 1st and last game at J.E.T. Middle School at starting 10:00 a.m.,”says Edwards, “and Saluda will host the 2nd game at Riverside Gymnasium. We are excited to have a girl’s team to compete as well,” says Edwards. Abbeville and Ridge Spring are set to join the movement in the coming months. The league not only focuses on promoting healthy competition and positive social skills, but also developing mentorship relationship between the coaches and players. It is more than “just a basketball league; it’s a place of refuge for some of our youth,” says, Edwards.